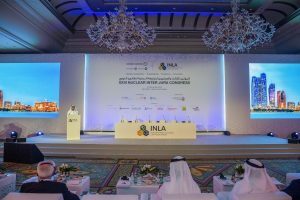 Held for the first time in the Middle East and hosted in Abu Dhabi by the Emirates Nuclear Energy Corporation, ENEC, the congress was organised by the International Nuclear Law Association, INLA, in partnership with local and international sponsors, including the Federal Authority for Nuclear Regulation, FANR … reports Asian Lite News. 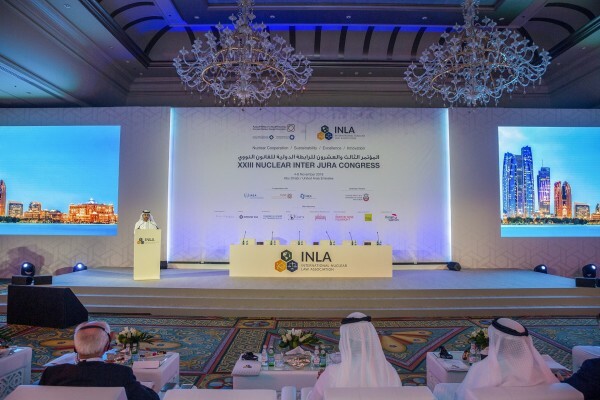 The UAE Peaceful Nuclear Energy Programme has been recognised for its unique achievements and coordinated development during the 23rd Nuclear Inter Jura Congress. Held for the first time in the Middle East and hosted in Abu Dhabi by the Emirates Nuclear Energy Corporation, ENEC, the congress was organised by the International Nuclear Law Association, INLA, in partnership with local and international sponsors, including the Federal Authority for Nuclear Regulation, FANR. The congress brought together legal specialists, government representatives, executives and academics from the local and international nuclear energy industry including Peri-Lynne Johnson, Legal Advisor and Director of the International Atomic Energy Agency’s Office of Legal Affairs, David Scott, Advisor to the Chairman of the Executive Affairs Authority, Dr Zoryana Vovchok, Director of the Department of Legal Affairs at FANR, and Obaid Al Mutawa, Deputy General Counsel at ENEC. 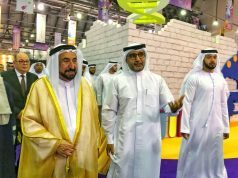 During a special UAE Session at the congress, the UAE Peaceful Nuclear Energy Programme was highlighted as a role model for nuclear energy development worldwide, having set a new standard for new nuclear construction. 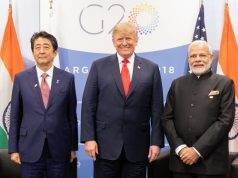 The UAE has illustrated its ability and commitment to diversifying its energy mix and has exhibited the benefits of operational transparency, international cooperation, and the development of local human capital, during its development of the UAE Programme. The UAE Programme is built on the most rigorous standards of safety, security and quality, and through its cooperation with the International Atomic Energy Agency, IAEA, and other relevant international organisations, has demonstrated its commitment to non-proliferation, as outlined in the UAE Policy on Nuclear Energy document released in April 2008. On the sidelines of the congress, ENEC’s Barakah Youth Council comprised of employees from ENEC and its subsidiaries, organised a Youth Circle. The event, entitled ‘Energy Gap – The Way Forward’, brought together international experts and students from Khalifa University to discuss the importance of developing peaceful nuclear energy. The Youth Circle was the result of ENEC and its subsidiaries’ ongoing commitment to providing young people with a platform to share their ideas and engage with energy leaders to shape the UAE’s future. During the four days of discussions at the congress, participants considered a wide range of topics including international conventions, nuclear liability, the nuclear fuel cycle, new nuclear energy plant construction, sustainable development and international safeguard regimes. The non-profit International Nuclear Law Association was founded in 1970 to strengthen relations among lawyers involved with nuclear law, facilitate research and development, and promote cooperation in nuclear liability. The INLA has more 650 members around the world, including a number of Emirati legal experts.